The newest restaurant at the Royal Cliff Beach Resort is the Huang Chao. New perhaps, but a name with a rich history. Huang Chao (835 – 884) was a Han Chinese salt trader, academic scholar, rebel and soldier who rose to become the first and only emperor of the Kingdom of Qi. I must admit, I was never enamored of the Royal Cliff’s previous Chinese restaurant’s name – “Chrysanthemum” did not conjure up Chinese images in the way that “Huang Chao” does. Welcome with an exotic smile. The restaurant is on one of the lower floors of the Grand, go on past the reception area, down the steps past the Chamu Japanese restaurant and then escalator down to Huang Chao. The décor has Chinese geometric designs, hanging lanterns, a Chinese medicine chest of drawers and some separate dining areas which can cater for up to a dozen diners around the carousels. The service girls are decked out in a cheongsam styled red uniforms and there is no mistaking the ethnicity of the venue. 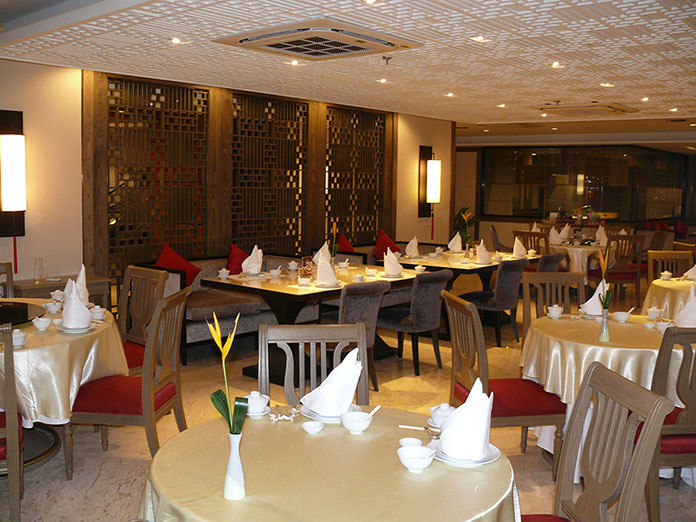 The luxurious interior of Huang Chao. 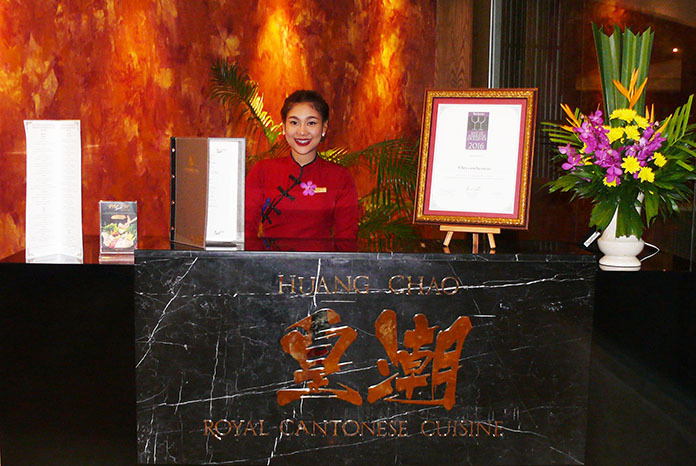 Huang Chao offers Royal Cantonese Cuisine, but we went for the review on a Friday evening to experience a rather novel ‘All You Can Eat’ promotion. Usually an ‘All You Can Eat’ event features a long line of Bain Marie’s complete with waiters rushing about refilling the containers. By the time you are half way through, the Bain Marie’s are cold and you are left with little choice. With this in mind I was not looking forward to the evening the way I usually look forward to any Royal Cliff promotion. I need not have worried, this ‘All You Can Eat’ promotion features no Bain Marie’s, no waiters rushing around, no tired food and no hustle and bustle getting up from one’s chair. It was instead the typical Royal Cliff professional promotion, in which you tell the service staff the dishes you would like to try to start with and they are cooked in the kitchen and brought direct to you. What happens is that the Chinese chef has chosen 30 dishes and these are shown in a separate Friday evening menu and covers appetizers, soups, main dishes and desserts. The descriptions of the items are in Thai, English and Russian. To allow the diners to experience a wide range of courses/dishes, the food items are presented in slightly smaller portions, so if you’d like to have another Shanghai noodles with shrimps, you just ask the attentive cheongsam staff hovering nearby and it arrives freshly cooked. I did exactly that with the sautéed beef with black pepper, and it was just as good for my second plateful. 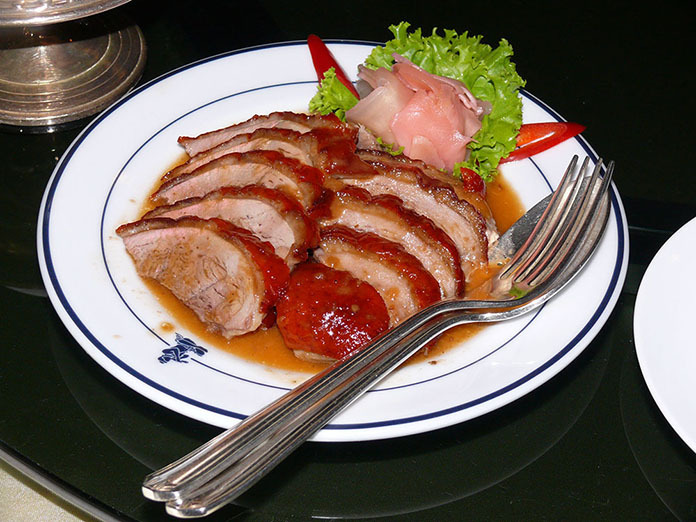 Items on offer in the special menu include roasted honey marinated duck, roast pork spare ribs, hot and sour Szechuan soup with chicken, braised pork spare ribs, fried prawns with sweet and sour sauce, steamed white snapper with lemon sauce (spicy! 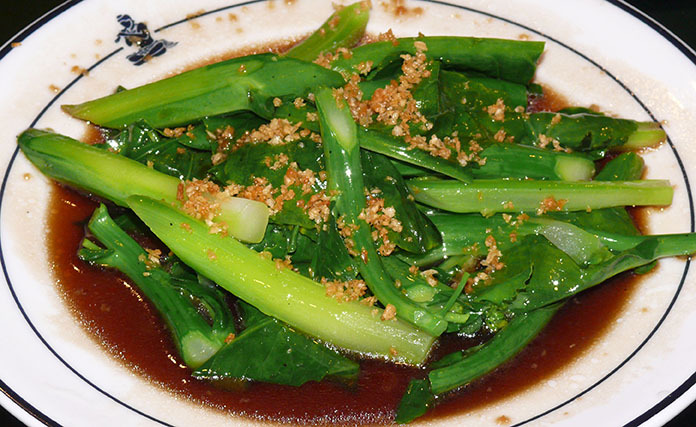 ), and sautéed kale with soya sauce, plus another 23 mouth-watering choices. I am sure you will not be disappointed. Sautéed kale with soya sauce. This is a wonderful opportunity for anyone who has a penchant for Chinese (Cantonese) food. The whole concept is excellent, as is the food. Use your fingers for the spare ribs. The staff will quickly supply finger bowls. We took our time and enjoyed every mouthful. A very good evening for couples, families and groups. By the way, the Royal Cliff house white (an Australian Chardonnay and bottled for the Royal Cliff) goes very well with Chinese food. 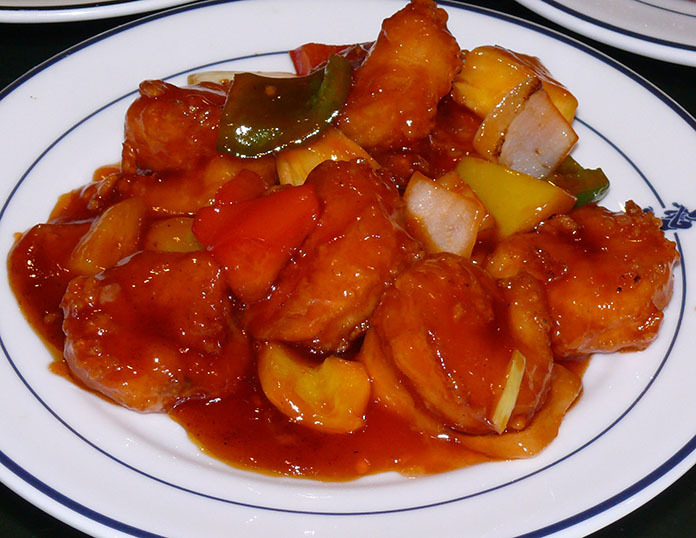 Delicious Sweet and sour prawns. Huang Chao, Royal Cliff Grand, 353 Pratamnak Road, Pattaya, open 6.30 to 10.30 p.m. but closed Thursdays (All You Can Eat promotion Friday evenings only and costs B. 1,100 ++ per head.) Secure parking in the hotel grounds.